Am I making the right decision by choosing Michael Howard Wolf Law Firm? One of the most important decisions to make is determining which law firm will have everything it takes to effectively represent you and your legal matters. We understand that your matters are significant and choosing the right attorney to represent you will make the difference in the outcome of your case. Michael Howard Wolf is the founder of Michael Howard Wolf Law Firm, with over 40 years of quality experience. With our experience, compassion, diligence, and results, you can rest assure that Michael Howard Wolf Law Firm has everything it takes to effectively handle all your legal matters. Can Michael Howard Wolf Law Firm handle any type of case? Yes!  Although Michael Howard Wolf Law Firm has main practice areas such as Civil Litigation, Business Law, Gaming Law, Criminal Law, Divorce Law, Personal Injury, and Immigration Law, we also take pride in considering ourselves as a General Practice firm. Either we or another attorney that we totally trust will aggressively fight for all your legal issues. What does it take to become a client of Michael Howard Wolf Law Firm? If you have any case or general inquiry about the law or our law firm, and you require an expert attorney, then go ahead and give us a call at +1 (954) 999-0864. You will then have a chance to have a FREE 30-minute case evaluation with Michael Howard Wolf. This will allow him to discuss your matter thoroughly and work with you to determine the best direction for your situation. How long has Michael Howard Wolf Law Firm been in existence, and how long has Michael Howard Wolf been a lawyer? Michael Howard Wolf Law Firm was officially established in 1992. Michael Howard Wolf, on the other hand, has been an attorney for 41 years, in which time he has accrued a significant amount of experience and knowledge, making him one of the leading attorneys in South Florida. What is the cost of hiring Michael Howard Wolf to be my attorney? Legal fees for Michael Howard Wolf can range anywhere from $100 to $200,000. There are many factors that go into determining how much we charge clients, including but not limited to: the nature and complexity of the matter, anticipated time, number of court appearances required, out-of-pocket expenses, extent to which we must turn down other clients because of the case (if any), etc. For information about the costs, it is best to contact us directly so that we can discuss and formulate a reasonable estimate for you. What should I expect of Michael Howard Wolf if I choose him to represent me? Michael Howard Wolf, and his law firm, is fully committed to offering excellence in all legal services. Michael Howard Wolf is a renowned attorney, located in Fort Lauderdale, Florida, who has been able to successfully handle some of the most complex cases. It is our passionate desire to ensure that you receive the best professional legal aid out there and to do everything within our power to provide satisfactory results. Needing an attorney is completely dependent on the nature of your legal issues. With the help of an attorney, you will certainly be able to handle situations that may have been overwhelming for you if an attorney had not stepped in. Furthermore, an attorney will definitely help you understand the law better, which can always help you with knowing and protecting your own rights. Call Michael Howard Wolf Law Firm now and take advantage of your FREE 30-minute case evaluation so that we can work together to determine if your situation requires an attorney. Does the process take a long time? There are no two cases that ever take the same amount of time. Because of this fact, we cannot tell you whether the process will be short or long. There are various factors that are completely out of our control which become contributing factors to the time it takes for everything to be finalized. However, Michael Howard Wolf Law Firm strives for excellent in service, which means that we will always take it upon ourselves to meet all deadlines and to do everything we can to speed the process up.